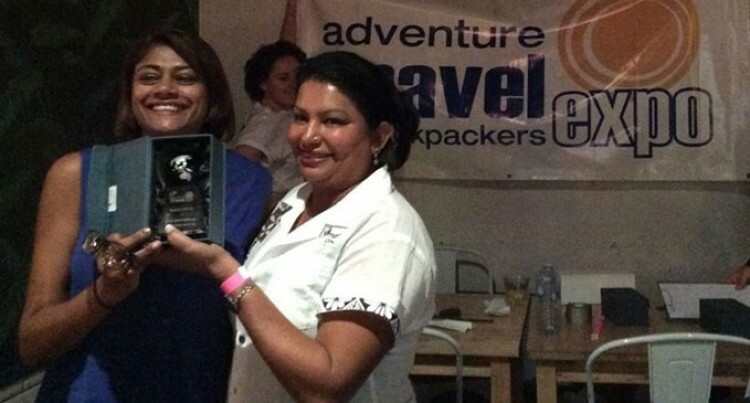 Fiji Backpackers Association’s win as the Best International Adventure Activity at the Adventure Travel and Backpackers Expo in Australia has been noted as a positive sign by our tourism industry. Fiji Hotel and Tourism Association president, Dixon Seeto, said the award will help profile Fiji in terms of awareness of our backpacker industry. “The backpacker is an important segment in our industry because there are quite a lot of backpackers who come through Fiji on their way around the world,” he said. Fiji was not only up against tough competition from Europe, Asia and North and South America, but also from regional neighbours namely Solomon Islands, Tonga and Tahiti which were also nominated. Head of Expo contingent from the South Pacific Tourism Organisation, Pauline Benson, said Fiji Backpackers Association’s win was not only good for Fiji but for tourism in Pacific in general. “They have a lot to offer in terms of tourism products. Fiji definitely is set above the rest as well in terms of the different activities offered,” she has been quoted by Radio Australia. Ms Benson said there are a number of areas which the backpacker industry can focus on including water sports, trekking, flora and fauna as well as cultural experiences. Meanwhile, Mr Seeto stressed contrary to what people believe, the backpacker segment actually spend a lot of money in adventure activities, the tours and on their food and beverage. “There is an emerging trend now where within the backpacker segment, we now have the flashpacker establishment,” he said. “These are people who are more affluent and do this around the world. They would have even more money to spend when in Fiji. Mr Seeto feels the younger backpackers are also potential tourists who would be coming back for an actual holiday to Fiji with their families.